Full Ingredients: Organic Coconut Oil, Organic Shea Butter, Organic Cocoa Butter, Sweet Almond Oil, Candelilla wax, vitamin E. Pure essential oils as per blends above. Perfect as an all-over nourishing body treatment or daily moisturizer. Heals, soothes, nourishes & protects from dryness, and leaves the skin with a beautiful glow! TREATMENT: Use as a healing cream on scars, stretch marks and is wonderfully soothing on sunburn too! TIP: use as a leave-in hair treatment oil, rub between fingertips to warm the butter then apply to hair ends. This product is heat sensitive due to the high percentage of natural plant butter and its firmness is dependent on the surrounding temperature. 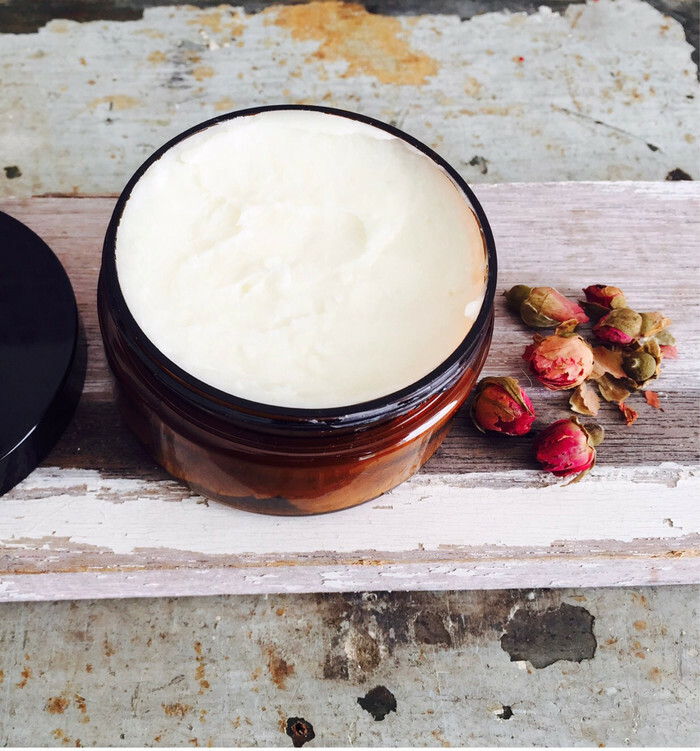 If your body butter arrives slightly soft after transit (particularly in the summer months) just place the jar into the fridge for about 1/2 an hour, and the cream will firm up. This will not affect the effectiveness of this product. If purchasing multiple items please contact me for a postage quote.